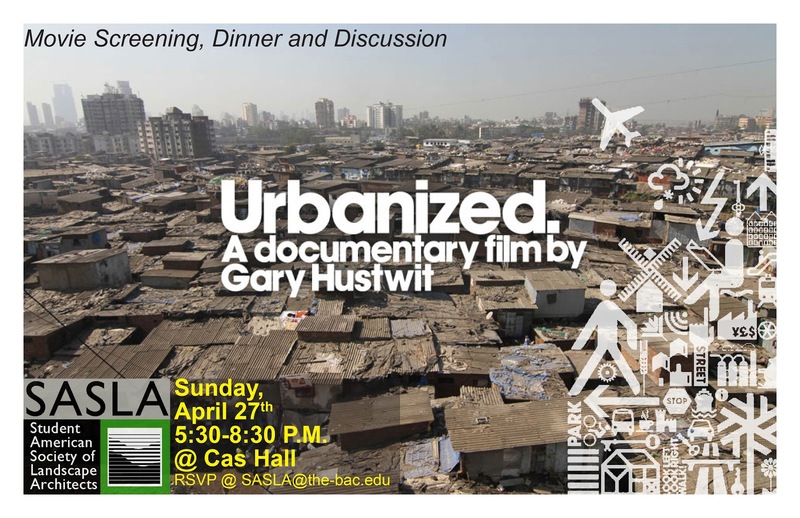 Please Join SASLA for a movie night with pizza and discussion for the film Urbanized on Sunday April 27th at CAS Hall. All are welcome! Please RSVP at sasla@the-bac.edu by April 21st.